Fish Mate 30000 Pressure Filter & 18000 Filter Pump Set: Pump and Filter Sets: Pump and Filter Sets - Buy pond equipment from Pondkeeper: fishing out the best deals on the net. 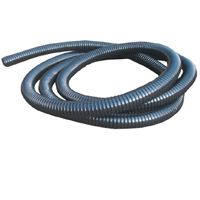 A popular pump and filter set at a very low price. 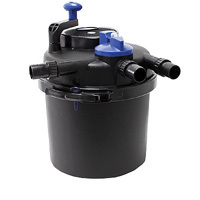 This pressurised filter set features a built-in UVC and 'Powerclenz' automatic cleaning system and matching pump. 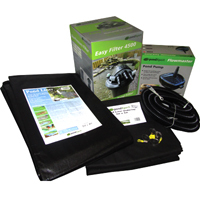 The perfect easy maintenance filtration package for big ponds up to 30,000 litres (6,600 gallons). 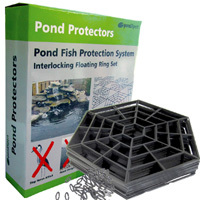 The Fish Mate 30000 pressurised filter can be positioned a variety of different places, both above and below ground. By simply twisting a knob on this filter it automatically cleans itself! In the 'run' position the water undergoes a 4-stage purification process. Simply turn the knob to "Clean" and the foams are squeezed by up to 1,000lb of water pressure forcing out pond sludge. The back-flushed dirty water is then pushed out through the second waste outlet (typically down the drain or flowerbeds). 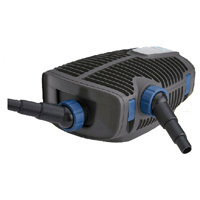 This unit boasts a built-in 24w UVC and guarantees clear water for ponds up to 30,000 litres. 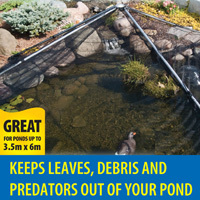 (Figures based on pond in full shade with water plants - 15,000 litres for ponds in full sun). The Fish Mate 18000 pump can handle solids up to 12mm and can even provide a fountain too! Save £21.36 versus price of buying components separately.